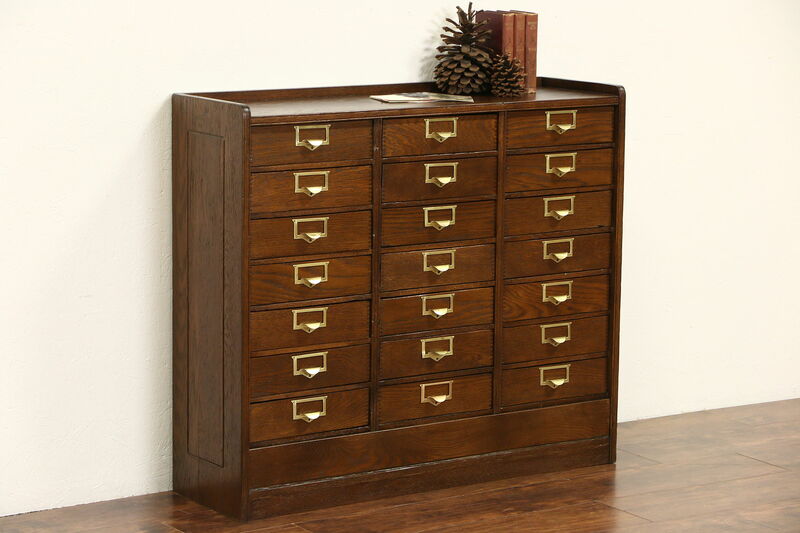 A solid oak 21 drawer file or collector's cabinet dates from about 1915. Drawers have "finger" dovetail joints and original brass pulls with label holders. Interior size is 11 1/2" wide, 8 1/2" front to back and 3" deep. The restored finish is in excellent condition on this American made library or office furniture. There are shrinkage separations from age plus a few dings at the edges for a little antique character, see photos. Measurements are 41 1/2" wide, 13" deep and 36" tall.